The Arewa Consultative Forum said on Saturday that President Muhammad Buhari won’t resign over his ill-health as being taunted in some quarters. This, ACF said, was because the President had done the needful by transferring power to his deputy, Prof. Yemi Osinbajo, as stipulated by the 1999 Constitution. 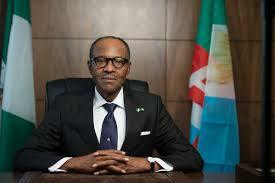 The Co-Convener of BringBackOurGirls, Aisha Yusuf, had asked the President to resign on Friday. In a statement issued by the National Publicity Secretary of the forum, Muhammad Ibrahim, the ACF noted with regret that in other clime, citizens wished their leaders well when ill or incapitated to perform their statutory functions, but not so in Nigeria. According to the ACF, the call by the Bring Back Our Girls group for the President to resign, is unnecessary and not in tune with the 1999 Constitution. The statement read, “President Buhari’s ill-health. Nigeria is practising a presidential system of government as contained in the 1999 Constitution (as amended). “President Buhari has done what is constitutionally required of him to do by his letter to the leadership of the National Assembly. The Vice President is now Acting President, performing the duties of Mr. President. “In other countries,when their President falls sick or becomes incapacitated while in office, the citizens encourage him through prayers and good wishes, rather than intimidation or calling for his resignation. “We can draw a lesson from such countries and wish President Buhari well for the progress of our country.